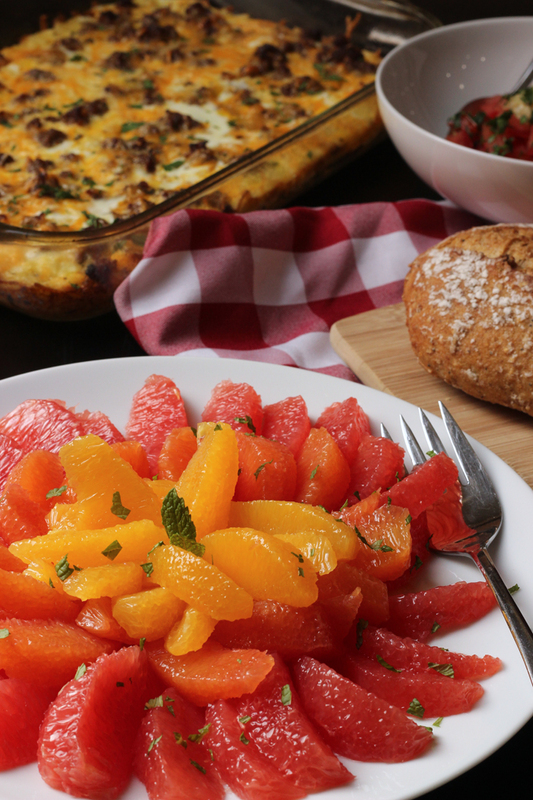 Serve up a breakfast buffet to save time in the morning. These easy breakfast ideas will help you get a great start on your day. Mornings can be rushed and busy. Breakfast can often be an after-thought, despite the fact that everyone KNOWS it’s the most important meal of the day. You find yourself rushing out the door with a cold piece of toast between your teeth, hands full with coat and keys. How about you slow things down a bit? Let’s head back to that last hotel vacation you had. My kids LOVE it when we stay at a hotel. It’s not the free cable or the free wi-fi. It’s not even the pool. The biggest attraction of hotel vacations is the all-you-can-eat breakfast bar. True story. Typically an array of baked goods, eggs, bacon, sausage, fruit, coffee, cereal, juice and milk, the hotel breakfast bar suits everyone’s tastes and is easy to serve. You and I both know that unless you’re at a luxury hotel, the breakfast fare is mediocre at best. The brilliance behind the hotel’s breakfast is that it’s composed of easy breakfast ideas you can easily recreate it at home! Like at a hotel, easy breakfast ideas, especially those that are made ahead of time, allow your diners to eat leisurely on their time-frame. You don’t need everyone to be awake and ready for breakfast at the same time. You can set out an array of items and let everyone dish up what he likes. No more short-order cooking. Do some advance planning and a little bulk-baking, and you’ll be set! 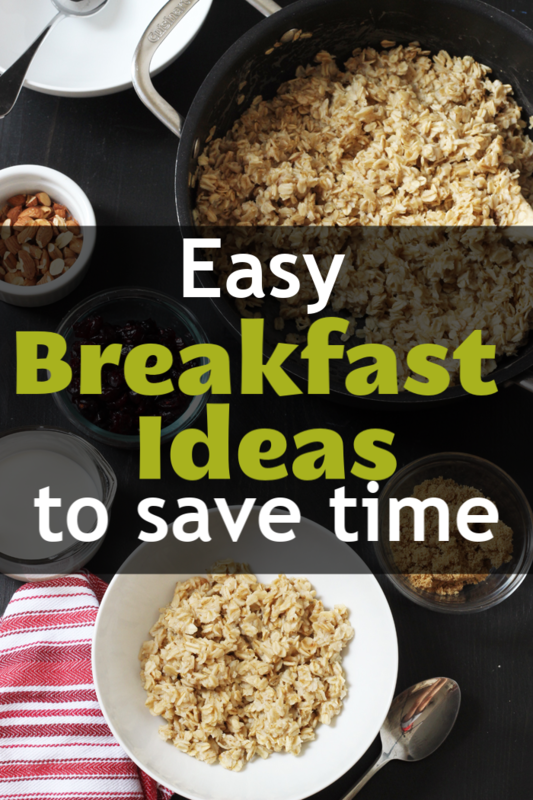 Consider easy breakfast ideas to save time in the mornings. Several times a week, I set up a “breakfast bar” when I wake, laying out an array of easy breakfast ideas that my kids can serve themselves. I keep the cold stuff, like milk and cream, in the refrigerator for my family to get as needed. But, everything else lies in waiting for folks to dish up at their leisure. What breakfast can I make the night before? egg casseroles – assemble and refrigerate or freeze. Bake right before serving. granola – store in an air-tight container at room temperature. Consume within a week. instant oatmeal packets – so quick and easy to prep on hurried mornings. yogurt parfaits – they are simple enough to assemble on the spot, but it’s super nice to just grab and go. What should I make for breakfast for guests? I love having houseguests because breakfast is one of the easiest and most fun meals to serve. Plus, so much of it can be made in advance, making it easy for you to get a few extra zzz’s and enjoy the morning with friends and family. Consider egg bakes, hashbrown casserole, quiche, cinnamon rolls, and coffeecake for special company breakfasts. Sausage Egg Hash Brown Casserole – one of my favorites to make and freeze. Orange Cinnamon Rolls – so delicious and much better than the canned versions! Follow these instructions for making cinnamon rolls easily. Ham and Gruyere Quiche with Leeks – so flavorful with very little work! 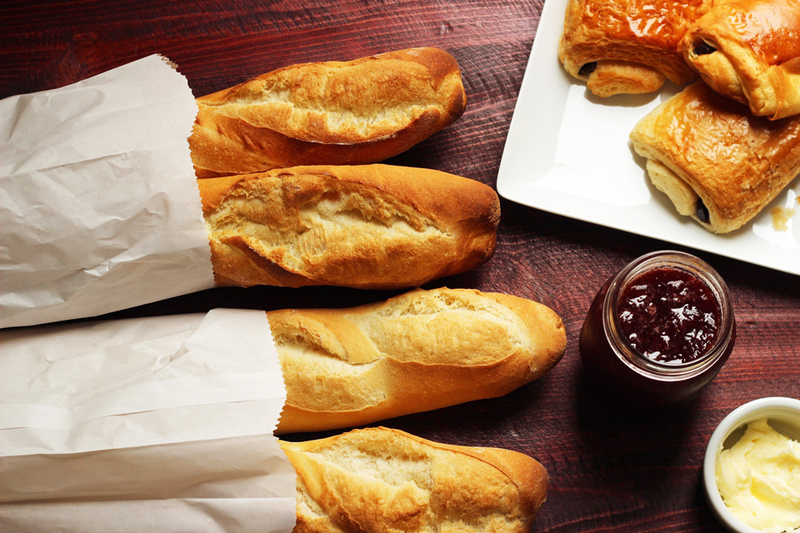 Petite Dejeuner – perfect for those days you really can’t cook. Can you make ahead and freeze breakfast casserole? Yes! You can absolutely freeze breakfast casseroles in advance. I do this all the time, freezing egg bakes, hash brown casserole, and baked oatmeal — all before baking. Thaw overnight in the fridge and then bake right before serving. No one will ever know you froze it and you’ll save tons of time when you need it most. Can you make pancakes ahead of time? Absolutely. Cook your pancakes like you normally would, then cool them on a rack like you would cool cookies. Once they’re totally cold, you can wrap short stacks in plastic wrap and place the bundles in a zip-top plastic bag. Label the bag with the contents and date. Store in the freezer for up to 8 weeks. To serve, thaw and reheat. If you’re using the microwave, you can reheat from frozen. What can you include in a breakfast or brunch buffet? Laying out an array of easy breakfast ideas not only makes it easy on the cook, but it also ensures that your family gets a great start on the day. What are YOUR favorite easy breakfast ideas? This would be an excellent idea if you had out of town guests staying at your home! 🙂 I never thought of it before….fabulous idea!! @Stacy @Stacy Makes Cents, good point! I guess we have guests so infrequently, I haven’t put it to the test. LOL…that’s my kids favorite part of staying at a hotel too! On lazy summer days this would be a nice change of pace. I’ll have to keep it in mind (as Stacy suggested) for when we have company too. Thanks for the great, simple idea. I’d add hard boiled eggs- During the summer I always keep a dozen peeled eggs in the fridge- quick, easy protein and nutrition for my son, who would otherwise live on peanut butter and bean burritos. @Char Haas, yes! We do that, too. Must have slipped my mind. Thanks for the reminder. What a splendid idea! When I get back into more bakking this will be a weekly breakfast for my children. I started the toast bar from you also & my 6 children love it. They put all sorts of odd topping on toast now. We use a whole loaf of bread. It is a favorite & low cost breakfast. Thank you for some grest ideas! When I am truly rushed I fix what I call lazy oats. For the two of us, I boil a cup and a half of water with a dash of salt, when it boils hard, I add a cup of rolled/old fashioned oats, stir to mix them it, put the lid on and turn off the fire. In ten minutes they are ready to eat, and I can use that time to make tea or toast, get dressed or whatever. 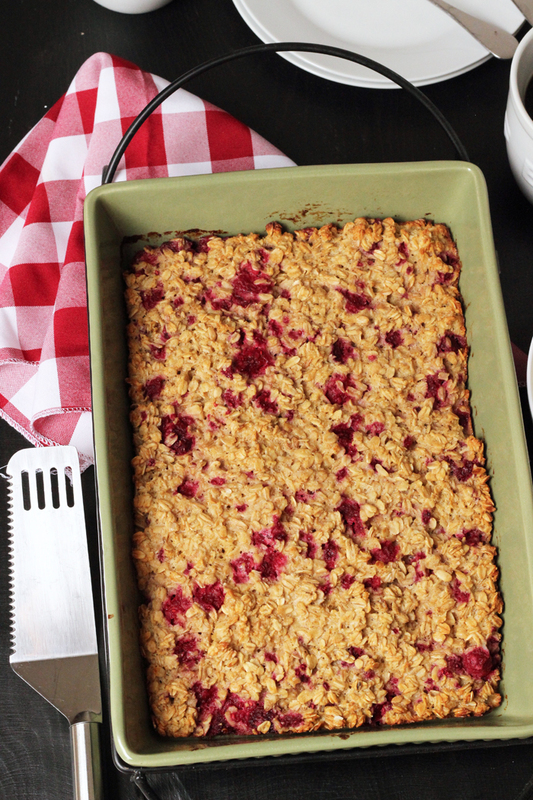 We like the texture better than oatmeal. For your breakfast buffet, I would suggest maybe adding some cream cheese to the butter and jam. Any cream cheese on banana bread is yummy, but I am fond of the whipped strawberry. It is one of my indulgences, even if I do have to not overdo it. I would also suggest trying a cooked fruit compote or just poached apples. My grandson loves poached apples and they are easy. I just fix a very light syrup of one part sugar to six parts of water and bring it to a boil. Then add the apples I have quartered, peeled and cored. I cook them until they are soft at a simmer or low boil. Timing depends on the variety, but it takes about 20 minutes for Gala apples. I also use golden delicious or even red delicious, but some apples like Jonathan or Granny Smiths take much less time. My favorite fruit compote involves cooking up frozen peaches, and adding frozen dark sweet cherries and/or blueberries for the last few minutes of the cooking time, I also occasionally add red raspberries, but they are usually adding after I turn off the heat, since they will cook in the hot syrup even if they are frozen. Since the fruits are frozen, they are available anytime, although you could do the same with fresh. The advantage of these is they keep in the refrigerator and can be made ahead and served cold. I’ll admit I like the compote warm, also. The cherries will turn the syrup and the peaches red, but they are yummy.